One of the biggest mistakes companies make is spending time redesigning their entire websites with no understanding of what goes on under the hood. Often, indicators such as traffic are useless when compared to the number of leads the traffic is generating. At Leading Results, we consider traffic a ‘vanity metric’ until a solid conversion strategy is implemented. Do you have a lot of traffic but low conversions? Your traffic is bad – many people are visiting your website but aren’t interested in taking the next step. If your main issue is getting high volumes of traffic but low conversions, you may be appealing to the wrong audience or your website may be difficult to navigate. Consider changing your content direction to target your persona and advertise where your persona already is. Write guest blogs, use Facebook advertising, use geo ads, and create a more targeted approach to your offers. You may also consider refreshing your offers so they look more modern and appealing. A great way to refresh an offer is to tweak the title and update the graphics. Tweak elements one at a time and see if you can get more engagement through your changes. Helpful hint: make your offer more prominent by implementing a pop-up with a link to complete the offer on your most popular pages. If you’re on HubSpot, you can easily do this in less than 5 minutes with a workflow. Otherwise, consider alternatives such as wisepops.com, which offers a low monthly fee for the pop-up service. If you’re not getting much traffic, consider increasing your advertising on social media to build a community around your product. If you’re already advertising heavily, try retargeting those ads. Sometimes low traffic is a symptom of content that doesn’t resonate with your audience. Invest in some strategy work to understand your target audience, their motivations and problems, and what they’re looking for. Keyword research can aid you in creating content and offers relevant to your target audience. Remember that building quality traffic takes time. Invest in a smart content strategy supported by your ad spend – throwing money at the problem won’t work in the long term. Your goal is to create sustainable and attractive content that draws visitors even months after it’s published. We call this evergreen content; you create it once and can reuse it repeatedly. With premium content and intelligent ad spending, you can build a long-term, sustainable content strategy to increase your HIGH-quality traffic and weed out bad traffic. As you work to create good-quality traffic, pay close attention to unwanted visits from bots that are there to crawl your website and spam you. With the rise of AI, this is becoming a bigger problem, and bot traffic can saturate your website, skew your metrics, and prevent you from understanding your website's performance. Use your robot.txt file to block unwanted bots and the IP addresses associated with them. This is an integral part of clearing your traffic jam and gaining thorough insight into your website. 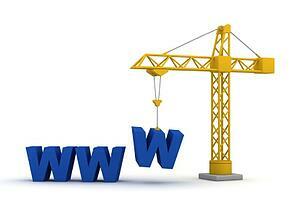 A recent study found there are about 1.7 billion websites on the internet. Most websites average three megabytes (up from 14 kilobytes in 1995 when there were about 23,500 websites). The internet is huge! Chances are, topics you’re covering on your website are also being discussed elsewhere; so how do you beat the competition for visitor attention? Cut the fat! Make your website fast, light, and easy to navigate. If your website doesn’t load within three seconds, a visitor will probably go elsewhere for information. The need for immediacy is something we’re too familiar with; if your website doesn’t respond fast enough, a visitor will quickly bounce and go on to your competitor. No matter how complex or interesting your business is, visitors rarely want to spend hours staring at long paragraphs and explanations of your products/services. Find shorter – and better yet, visual – ways to describe what you do and how you help your customers. Lists, headings, and structured pages work well. Go light on text! Map out the path your buyer persona will take through your website and make the journey easy. If you haven’t yet, install Google Analytics immediately – you need to see exactly what’s going on. Where are users dropping off? How long are they staying on pages? Where do they go after blog X? These insights will help you understand which content to keep front and center and what is just filler. Filler content serves little purpose and is often in a dark corner of your website no one finds or reads. Make your website and user journey easier by getting rid of content you don’t need! Step 3: Milk your best content! Spend money to advertise this offer so more people see it. If the offer is attractive, you can capture visitor information and nurture the relationship. It can lead to committed potential customers; if someone reads your ebook, it’s likely they’re in the consideration stage and ready to decide about purchasing a product/service. In addition to advertising the offer more, capitalize on traffic to popular pages and place pop-ups for that offer in those pages. This will give the offer higher visibility and increase the chances for engagement. One under-utilized option is creating monthly email updates or newsletters to promote ebooks or webinars. If certain email types yield high engagement, use that opportunity to promote additional content on your website and improve lead generation. Ultimately, improving your website will be a process that takes time and energy. However, by following these three steps: clearing the traffic jam, cutting the fat, and milking your content, you’ll be well on your way to significant improvements.